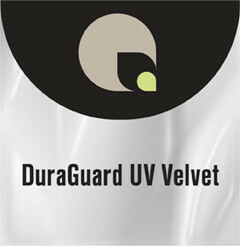 DuraGuard UV Velvet is a scuff resistant PVC film with a pebble textured matte finish. It is the optimum film for laminating prints that will be placed in high- traffic, indoor display areas such as POPs and tradeshow graphics. It is also suitable for laminating mouse pads, counter pads, and other similar applications.